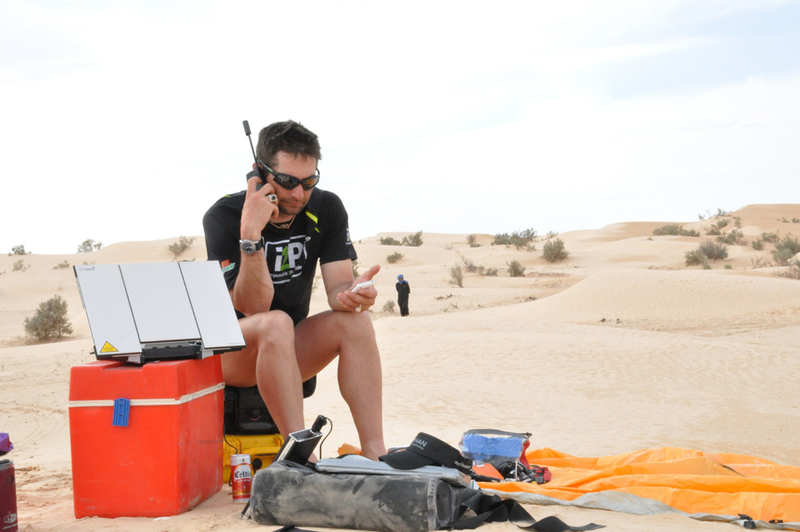 In 2007, Ray Zahab ran 7,500km across the Sahara desert. That wouldn’t have happened if he and his younger brother John hadn’t spent the better part of their lives inspiring one another to push their boundaries and accomplish more than they ever thought possible. I met John in 2008 through his work as a Certified Strength and Conditioning Specialist (CSCS) at the Ottawa High Performance Centre (OHPC). (He’s very good, by the way.) He told me about his brother’s recent African trek, so I did a little reading on Ray and his running adventures. It was only in conducting more thorough research for this article that I discovered there were two men behind Ray’s journey. John played an integral part in how this all came about, and the brothers continue to challenge each other to be the best they can be—to their benefit and most certainly to ours. The Zahab brothers grew up on a horse farm just outside of Carp, Ontario. They have a lot in common today: both are fitness trainers and adventure runners living in the Ottawa-Gatineau area, married to extremely active women (John to pre/postnatal fitness specialist Sarah Zahab, Ray to ultrarunner Kathy Adams), and fathers of two-and-a-half-year-old daughters, with a second child each on the way. But their paths haven’t always converged. As teenagers, the boys were pack-a-day smokers and—especially when compared with the incredible standard they set today—relatively inactive. They were also floundering. After high school, neither brother saw a clear path in front of him, and both wound up drifting from one odd job to the next. But while Ray stayed in that pattern for some time, it only took John one year of unrewarding work to realize he wanted something more from life. As John began making this transition in his personal life, he also started rethinking what he could do professionally to be happier on the job. While still working in finance, he got his certifications in fitness through the Canadian Society for Exercise Physiology (CSEP) and the YMCA-YWCA. He also made time to volunteer at the Y to gain practical experience as a trainer. In 1999, he began a full-time career as a fitness consultant, working with Strength Tek and the Athletic Conditioning Center. Five years later, he became a CSCS through the National Strength and Conditioning Association (NSCA), and by 2006, had made the move to the OHPC, where he develops and implements personalized fitness programs for professional and amateur athletes. While John was building a rewarding and fulfilling career, Ray saw himself as “pretty much directionless.” He’d gone through a series of odd jobs and hadn’t figured out what he wanted to do. He was still a steady smoker and a heavy drinker. 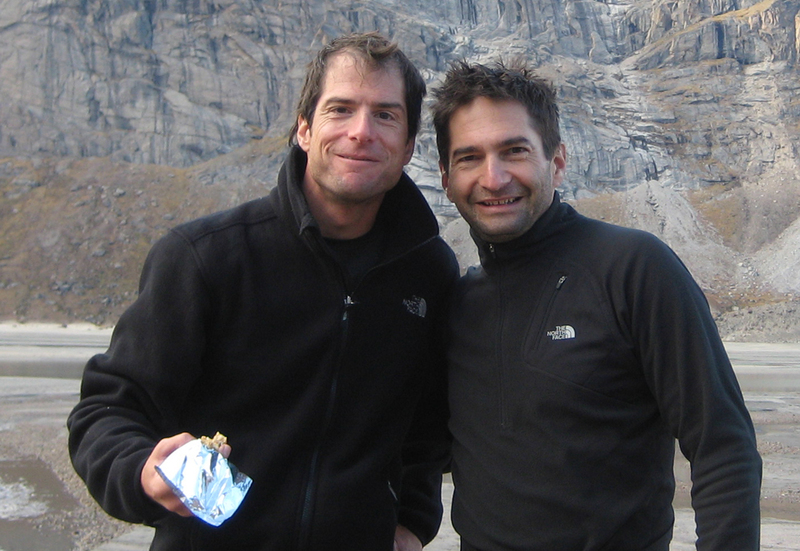 Ray began by joining his younger brother on a hike, which led to much more intensive outdoor adventures. On New Year’s Eve 1999, Ray made the decision to quit smoking and make a serious commitment to physical activity. “From 2000 onward, I never went back,” he says. Like his brother, Ray became a personal trainer. He also set out on a series of incredible physical challenges, including several ultramarathons around the world. The expeditions not only improved his stamina and fitness, they opened his eyes to the possibility for change on a global scale. One moment in particular had a profound impact on him. During a 333km foot race in Niger, a young Tuareg girl asked for his water bottle. It was nearly empty, so he figured she simply wanted to use it as a container. In fact, she was desperate for a drink. What was to Ray a few meager drops was to this girl a valuable resource not to be wasted. 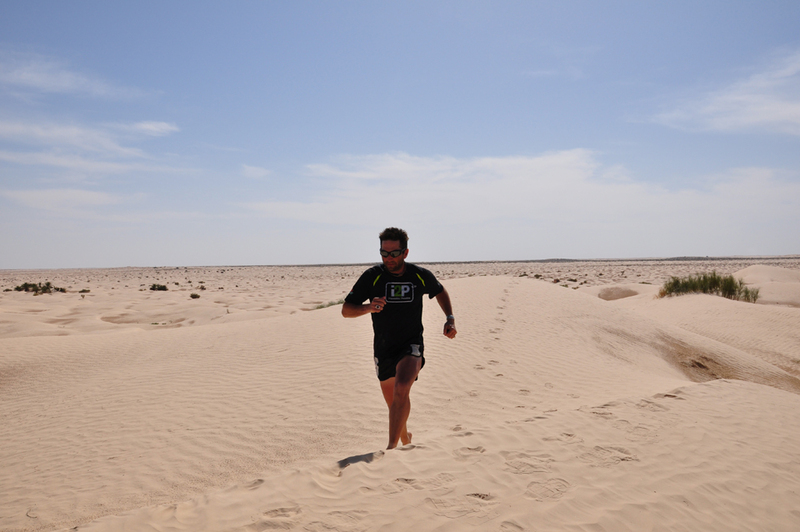 After his experience in Niger, Ray got to work organizing his most challenging expedition to date: running across the Sahara desert to raise awareness of the water crisis in Africa. In 2007, he, along with Charlie Engle and Kevin Lin, completed the mission. It took 111 days, running at a rate of 70km per day. The trio was followed by a crew of filmmakers who were gathering footage for the feature documentary Running the Sahara. The movie was directed by Academy Award winning director James Moll (The Last Days), and produced and narrated by actor-activist Matt Damon. In 2008, Ray put that thought to action. He and California-based business partner Bob Cox founded impossible2Possible (i2P), a non-profit organization with a mission to: …encourage youth to reach beyond their perceived limits, and to use adventure as a medium to educate, inspire and empower our global community to make positive change in the world. “We’re trying to show kids that they can do incredible things,” says Ray. 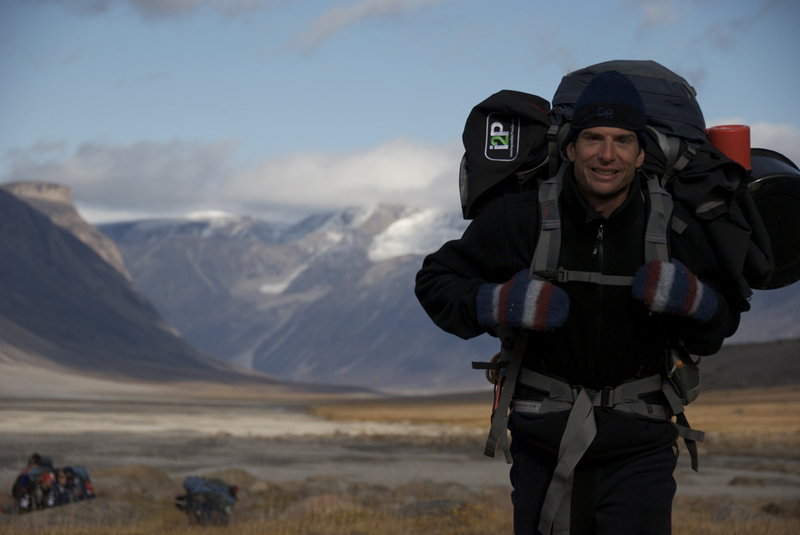 Every year since the organization launched, he and his team—including brother John—help select and prepare several international youth ambassadors (aged 17 to 21) to participate in one of two incredible expeditions around the world. 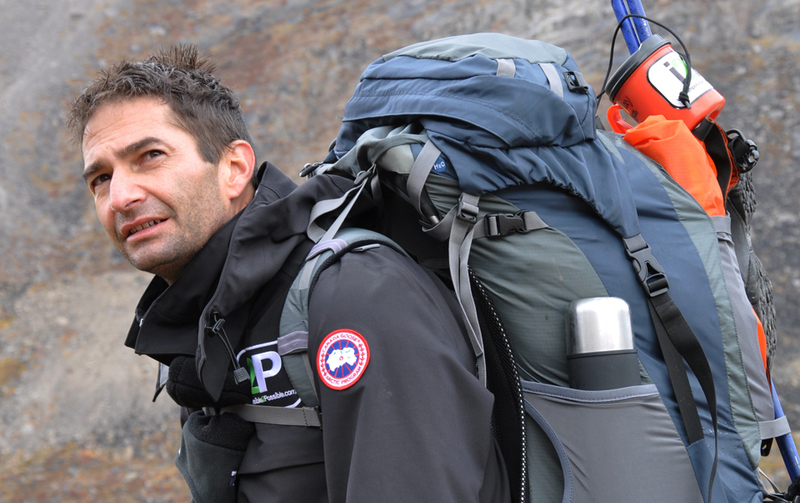 In 2009, i2P travelled to Baffin Island, Nunavut where they spent a week hiking along the 80km-long Akshayuk Pass. 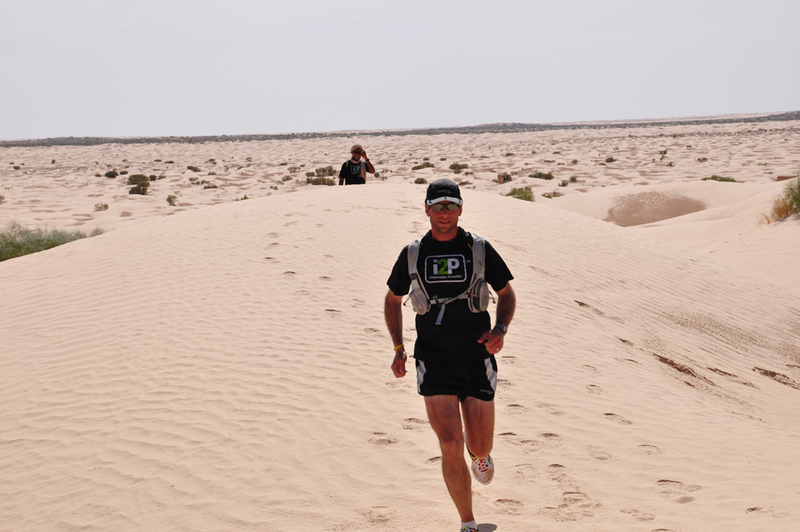 The following year, the group went to Tunisia where they ran 260km in the desert over the course of one week. “It was close to a marathon a day,” says John, who makes sure the youth ambassadors are ready for such rigorous exercise by developing custom training programs in the months leading up to each expedition. One of the most beneficial aspects of the i2P adventures is their educational component. Throughout each expedition, the youth ambassadors take part in learning modules that relate to the area they’re exploring. For the 2010 trip to the Amazon, the theme was biodiversity. For the upcoming 2011 trip to Bolivia, the focus will be on chemistry through the ages. “There’s a lot of really interesting things that we take on, all educational, all interesting and all told in a Discovery Channel-esque kind of way that the kids can really sink their teeth into,” says Ray. Using DigiGone technology, the learning segments are broadcast live from the expeditions and can be streamed into classrooms around the world. The i2P website also features educational modules put together at the conclusion of each trip, featuring videos and photos. Best of all, the modules come at no cost to the schools, thanks in large part to generous sponsorship from Canada Goose and Gatorade. The Zahab brothers have come far since their days on the farm. According to both men, each has the other to thank. To learn more about the brothers, visit johnzahab.com and rayzahab.com, or follow @RayZahab on Twitter. You can also email john@continuumfitness.ca and rayzahab@rayzahab.com. For the latest on i2P, ‘Like’ the organization’s Facebook page. Wow… That was unbelievably inspiring. I like how the brothers don’t gloss over the earlier part of their lives in order to project a certain image. In fact, they were honest – and clever! – enough to know that people will respond more to a story of transformation and overcoming what can sometimes feel like a path cemented for us. This kind of story makes a person feel like you can uproot from your current direction and choose another way… I’m going to keep this in mind when I’m losing focus. Also, I can’t wait for my foot injury to get better so I can get out there and move! Great writing Amanda, I was totally immersed in the story. I am inspired by this story. As a personal trainer myself, I can relate to their desires to help others succeed and to make a difference. Thanks for the kind words, Grace.